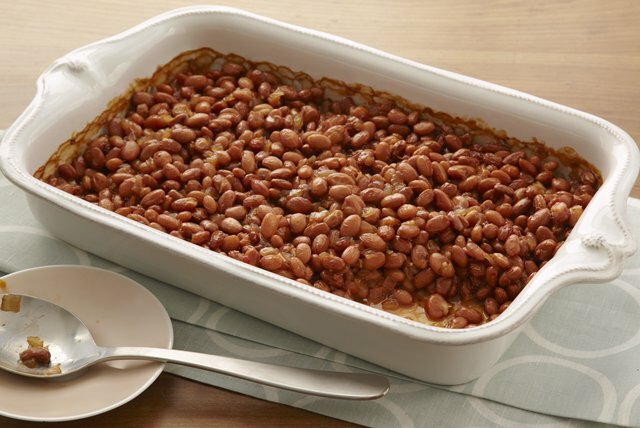 Our Maple Baked Beans are worth a try. Canned pinto beans are seasoned with onion, garlic, barbecue sauce and maple syrup, then slow-baked in the oven for rich, hearty flavour. Three simple steps and you've got homemade baked beans for a crowd. Cook and stir onions and garlic in dressing in large skillet on medium-high heat 5 min. or until onions are crisp-tender. Stir in remaining ingredients. Pour into 13x9-inch baking dish. Bake 45 min. or until hot and bubbly, stirring occasionally. Try adding 2 chopped ham steaks (175 g each) before baking and prepare as directed.